In this particular passages both God the Father and Jesus the Second Person of the Most Holy Trinity both mentioned the word "helper". In Catholicism based on Church Father's Teaching and in the Catholic Article of Faith the New Adam & New Eve is Jesus and the Blessed Virgin Mary. Would it follows that the role that the First Adam & First Eve in the context of the foreshadowing events in the Old Testament and New Testament, Jesus and Mary would fulfill the new role of Adam & Eve as the Church Fathers teaches. My question is based on the passages on Genesis2:18 the role of "helper" is given to Eve to help the First Adam,and in John14:26 the "Helper" to help Jesus the New Adam, would be given to Blessed Virgin Mary the New Eve. 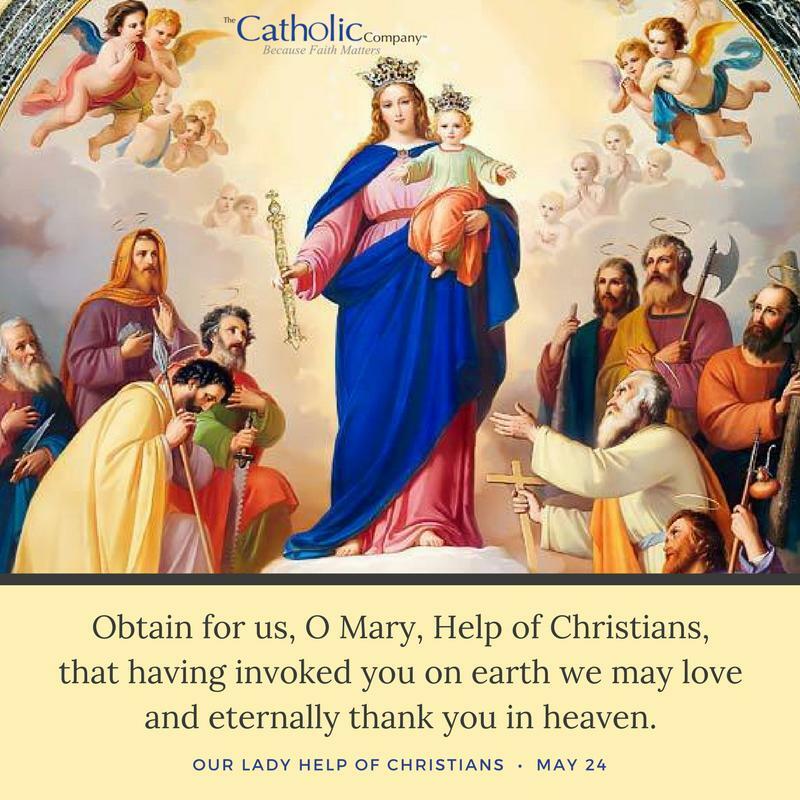 Is the Blessed Virgin Mary being acknowledge by the Church Fathers and Catholic Church as the New Eve would take the role of the "Helper" in John14:26? First who are the two famous Church Fathers who teaches that Jesus & Mary was the New Adam & New Eve. St.Irenaeus, the bishop of Lyons in the second century. In Against Heresies, Irenaeus expounds the doctrine of recapitulation. The phrase "New Eve"* or similar expressions occur in the early Church Fathers. Take, for example, Justin Martyr, who wrote within a couple of generations of the apostles. In his Dialogue with Trypho the Jew (ca. A.D. 150), Justin explains that Christ destroyed Satan’s work in the same way evil originally entered the world. Evil entered through Eve while she was still a virgin; so too salvation entered through Mary while she was still a virgin. Each woman willingly participated in the act they performed. Neither was an unconscious instrument. Eve listened to the serpent and conceived death. Mary listened to the angel Gabriel and conceived life. Justin sees this clearly in Luke 1:38 when Mary says, "Let it be to me according to your word." Thus, for Justin, Christ’s becoming a man involved his Mother’s willing cooperation in undoing the tangled web of sin that Eve introduced. Now let's examine the role God gave to Eve in the Garden of Eden before the Fall the word "suitable helper or ezer in Hebrew". In Hebrew, the word for “helper” used in Genesis 2:18 and 20 is ezer (pronounced “ay-zer”), and it is always and only used in the Old Testament in the context of vitally important and powerful acts of rescue and support. The word ezer is used twenty-one times in the Old Testament. Twice it is used in the context of the first woman. Three times it is used of people helping (or failing to help) in life-threatening situations. Sixteen times it is used in reference to God as a helper. Without exception, these biblical texts are talking about a vital, powerful kind of help. In Exodus 18:4 it says that Moses named one of his sons Eliezer, which in Hebrew means “My God is my helper” (Eli = “my God”; ezer= “helper”). This verse goes on to explain why Moses named his son Eliezer: because God had powerfully delivered Moses from Pharaoh’s sword! The word ezer in Hebrew. The letters, reading from right to left, are ayin, zayin, and resh. Ezer is pronounced “ay-zer”. Ezer describes aspects of God’s character: he is our strength, our rescuer, our protector, and our help! And ezer was the Holy Spirit’s choice of word to describe the first woman. Eve was someone who would provide valuable and vital strength to Adam. The word ezer is qualified by the word kenegdo in both Genesis 2:18 and 20. Kenegdo, often translated as “suitable for him”, gives the meaning that Eve was designed to be a corresponding and equal partner for Adam. There is no sense of subordination stated or implied, or even hinted at, in this passage in Genesis 2. Ezer kenegdo—”a helper suitable for him”—is used in reference to the first woman without any narrow qualifications, prescribed limits, or carefully crafted cultural restrictions. In other words, it is not specified anywhere in Genesis 2 how the first woman was to express and apply her help towards her husband but, presumably, it was to alleviate the man’s “alone-ness” and partner with him in their joint commission, given in Genesis 1:28. Now let us look in the scriptures passages on aspects of God’s character: he is our strength, our rescuer, our protector, and our help! Now what can we see the from the scripture passages Eve Role was not a domestic role, Eve was to fight the serpent as She will be the subject of attacks of satan in the Garden of Eden not Adam. After the Fall of Adam & Eve, which we know that Eve was the first cause, Eve was "beguiled" by the serpent. Now with the scriptural passages defining the role of Eve as combatant warrior before the fall we can now understand why God the Father said the words on Genesis3:15. "I will put enmity". God is the one who declares war 'Woman/Mary vs.serpent/satan. The Catholic Church teaches that Mary is the Woman in Genesis3:15, so we can see that Mary's role like the New Eve according to Church Fathers is a combatant one. As St. Jerome Latin Vulgate translation is "She" because God given role to Eve in the Garden of Eden was to fight the serpent. Now,If Christ is the New Adam and Mary was the New Eve. Is Jesus praying for the New Eve as the "another helper/advocate" in John14:16 & John14:26 pointed to Mary? The Three Great Marian Saints testifies and had written books to support the Role of Mary as Advocate,Helper,Comforter etc. With the Teaching of this Three Great Marian Saints all point to Mary as the Advocate and the Fifth Dogma. With the above references, scripture passages and Church Teaching let us ponder this passages from Hosea. From the Church Fathers teaching that Mary was the New and from Catechism of the Catholic Church teaching Mary as the Woman in Genesis3:15 (ProtoEvangelium), and God attributes of "a suitable helper" as a warrior to fight Satan/serpent in the Garden of Eden. We can say that Mary as the New Eve will take over the Role Eve left behind as the "suitable helper or ezer". In closing the the word "HELPER" pointing to Mary can be traced it's origin from the Patristic Father. There are two inscriptions of the first centuries of Christianity in Greek related to the Virgin Mary: : θεοτοκος (Teotokos, Theotokos, Mother of God) and βοηθεια (Boetheia, the Helper). The Fathers of the Church referred to Mary as "βοηθεια". John Chrysostom used the title in a homily of 345, Proclus in 476 and Sebas of Caesarea in 532. After the Patristic period (5th century), other persons used it like Romanos the Melodist in 518, the Patriarch of Jerusalem, Sophronius in 560, John of Damascus in 749 and German of Constantinople in 733. Truly, Mary is the "HELP" of all Christians. Not the answer you're looking for? Browse other questions tagged catholicism exegesis virgin-mary church-fathers adam-and-eve or ask your own question. What does Roman Catholicism teach about the mother of the “Mother of God”: was she sinless too?